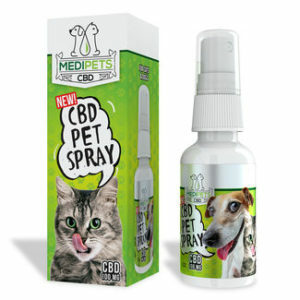 MediPets CBD Cannabidiol Pet Spray is a 100% natural way to potentially help your pets deal with stress & anxiety. This spray contains 100mg of CBD & essential oils that can assist your cat or dog feel at home in its environment. Organic and Made in the USA.